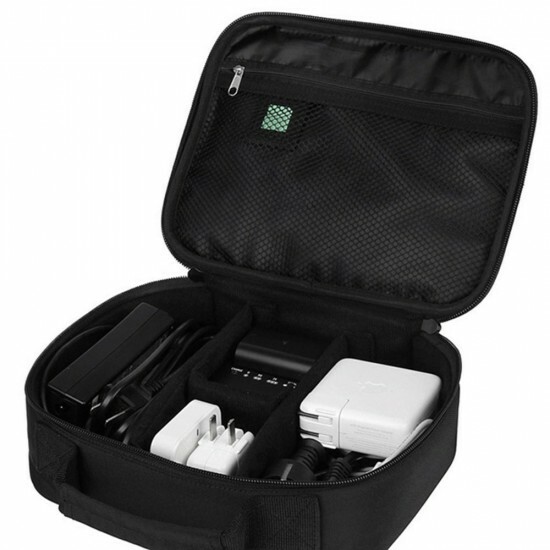 Keep all of your electronics accessories together, no more mess, convenient for carrying, perfect for traveling, hand strap for keeping your devices safe and handy. Bag is made with heavy-duty, durable and water repellent nylon molded case with elegant design protects your item from scratches, dust and accidental dropping. 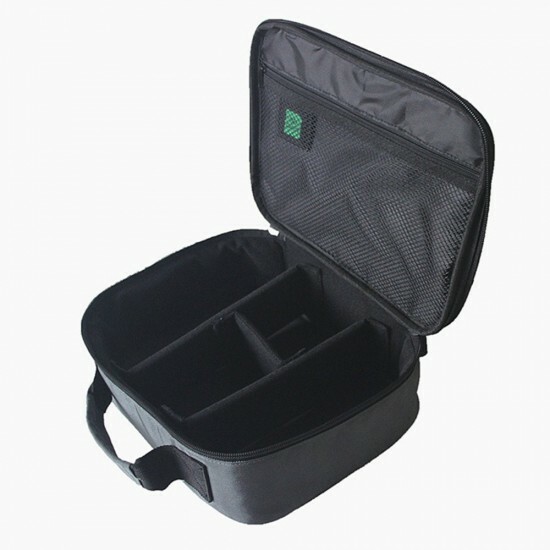 Lightweight and durable hard case. 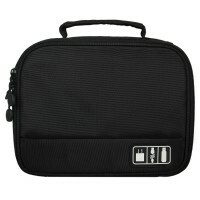 Easy to carry, great partner for your hard drive at travel or in the office. 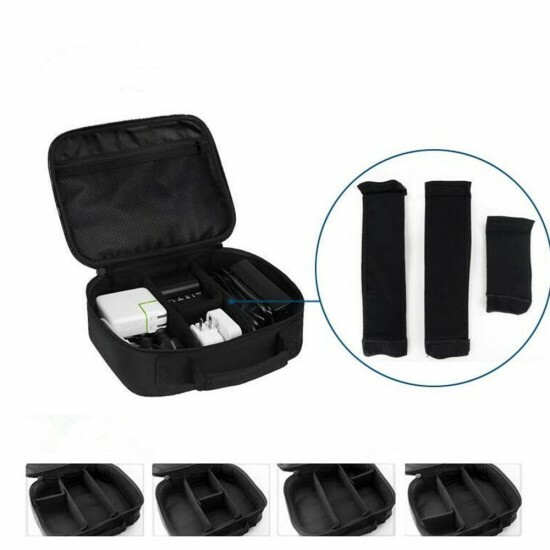 Great organizer for office use and traveling, and keep your Important devices in reach, a zip section for the top part has a small SD card pouch with a mesh covering the entire area. 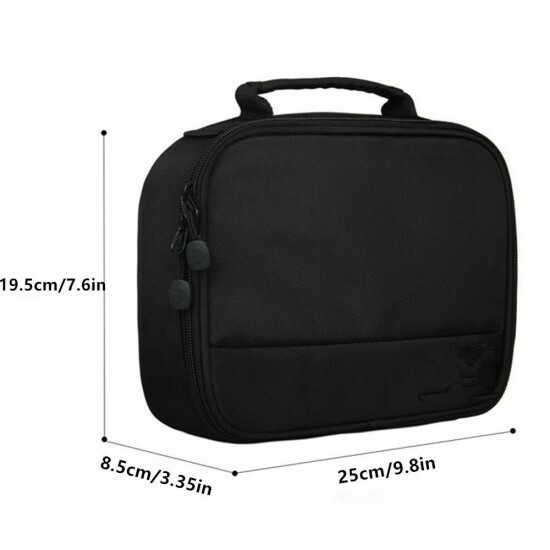 Size: 25x8.5x19.5cm/9.8x7.6x3.35inch, perfect size for traveling to carry. 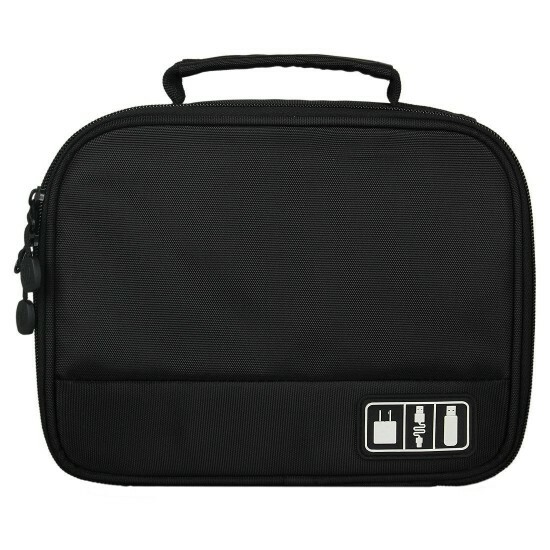 Type: Electronics accessories storage bags. Perfect to be put into a carryon bag or a Backpack to travel. Help you to keep things separated, easy to be found and used. Suitable for storage data line, earphone, power bank, SD cards, USB flash disk, charger and pen etc.